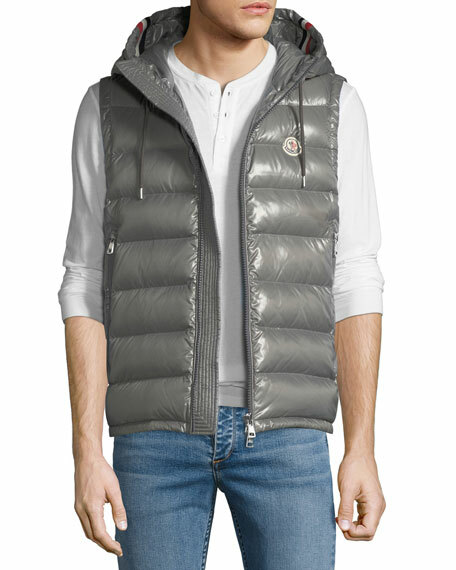 Berluti quilted vest in calf leather. Stand collar; pack away hood. Side slip pockets. Straight hem. Zip front. Nylon/polyurethane. Fill, 90/10 down feather. Made in Italy. 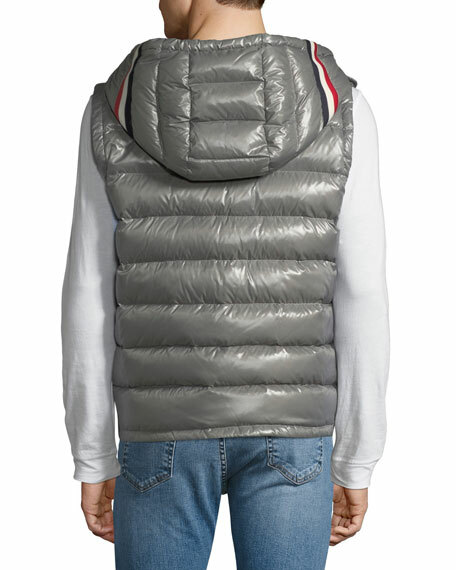 Model's measurements: Height 6'1"/185cm, waist 32"/81cm, typically wears size M.
Brunello Cucinelli gilet vest. V neckline; button front. Welt pocket at left chest. Besom pockets at waist. Cutaway hem. Linen. 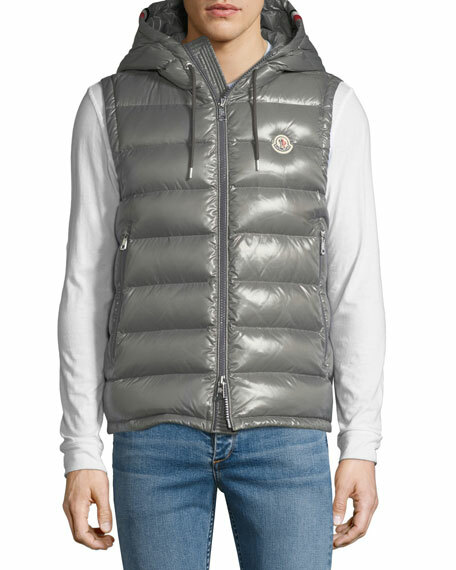 Brunello Cucinelli gilet vest. V neckline; button front. Welt pocket at left chest. Besom pockets at waist. Cutaway hem. Linen. Made in Italy. Model's measurements: Height, 6'1"/185cm, waist 32"/81cm, suit 40L, shirt 15x34, inseam 32"/81cm. 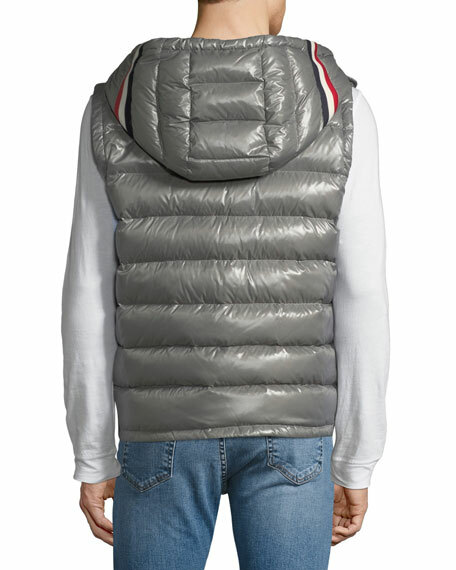 Moncler "Arves" gilet/vest in quilted fabric with down fill. Stand collar; zip front. Logo patch at chest. Side zip pockets.